The Evalucore Institute offers a host of Real Estate courses and seminars designed around helping individuals and businesses achieve excellence at its finest, including specialized Real Estate Designation and Certification courses. Click below to see what Rich has to offer today’s Real Estate Managers and Professionals! The goal of the ABR® Designation program is to develop and achieve a working platform of skills, knowledge, tools and resources for today’s Buyer Representative Specialists. Managing the expectations of today’s international and diversified buyers pool is ever growing and in constant demand. Develop a business platform to represent diversified buyer-clients in all real estate transactions and provide the quality of service and degree of fidelity to buyers, that sellers have customarily come to expect. Offers new ideas, methods and resources for building a buyer representation business. Focuses on the value the continual services and unique skill sets that are performed on behalf of buyer-clients that build a dynamic buyer business platform. Develop a self-customized tool for conducting a buyer counseling sessions. Increases the confidence, gain methods, tools, techniques, and resources to provide the support and services that buyer clients come to expect in today’s purchasing and investing market. Special added bonus material on attracting international buyers and how to increase a global presence on the international perspective. The SRS- Seller Representative Specialist Designation in now a national designation associated with the REBI- Real Estate Business Institute and the CRB- Council of Real Estate Broker Managers. It has been delivered nationwide to REALTORS® only and has received rave reviews for the course content and direction for today’s Real Estate Brokers and Professionals. Learning Objective: Focuses on providing the REALTOR® practitioner with the tools necessary to represent seller clients in a variety of formats. Particular attention is given to differing listing models, office policies, field issues, legal and code ramifications to representing sellers in today’s changing environment. Topics include manual and e-methods of procuring listings, securing the listing, staging the property and marketing venues, representing the seller client when converting consumer inquiries, co-broking with cooperating agents, protecting the interests of the client when fielding multiple offers, negotiating the offer and inspection phase issues, in addition to following the pending transaction to closing. The RENE Certification Course dives into the details of managing expectations through proper planning and advanced preparation. Being open to various options along the way provides avenues to effectively work with tradeoffs and alternatives opportunities. Determine the skill of compromise without passing up essential components of the transaction. Reaching resolutions that provide positional options that your client can find acceptable and rewarding. The Certified Real Estate Team Specialist (C-RETS) certification is the first and only team credential recognized by the National Association of REALTORS® and is the premier credential for high performance teams. It is designed to elevate and enhance team development, individual leadership skills, and improve financial performance. 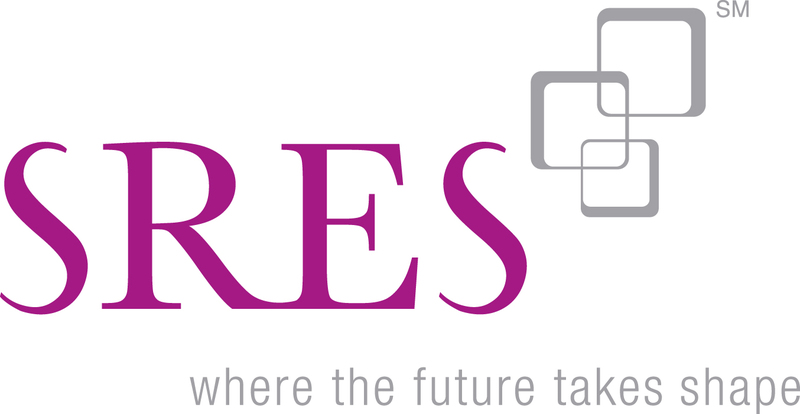 The C-RETS curriculum integrates ready-to-implement strategies and solutions and provides a comprehensive foundation of skill development, training, and resources to build, lead and manage a high performance team. You choose the courses that best meet your learning needs. Understand “why” there’s a need for Team. Understand the Team’s design and place in the brokerage. Learn the values and the challenges that a Team can represent. Learn how to build the best Team by recruiting the right talent. Learn to create your Team’s identity and vision through effective marketing and branding. Become knowledgeable on the use of technology that best fits your Team’s business. Learn to use the most effective new systems for time management and optimum workflow. Today’s team leaders must deal with a myriad of challenges, such has managing turnover, training and mentoring — in addition to running a successful and profitable business. To be successful, you must develop and implement a leadership strategy that addresses these challenges and have the flexibility to adapt to different personalities and different situation. This course is designed to help you understand the different management and leadership techniques and apply them to every day situations. 3. Compare and analyze compensation programs and profitability. 4. Employ compensation to direct agents’ efforts, e.g. more listings, more sales. 5. Assess the use of bonuses, both year end and signing. 6. Identify and debate profit sharing; including buy-ins. 7. Construct and share an operating statement for sharing with agents. 8. Construct a sample compensation program for a brokerage. For the first time in modern history, 4 generations – Traditionalists, Baby Boomers, Generation X, and Millennials – are working side by side and presenting new challenges for managers and their employees in the workplace. A definite lack of awareness exists among these four distinct generations. Typically, those of each generation feel they know best, better than those who came earlier, and certainly much better than the new kids on the block. This leads to management challenges and productivity issues. But whether this multi-generational workplace feels happy and productive or challenging and stressful is, in large part, up to you: the boss. How should you relate to agents and employees of different age groups? How do you motivate someone much older or much younger than you? And finally: what can you do to encourage agents and employees of different generations to share their knowledge? It is important to understand where each generation is coming from: When they were born, what factors influenced them growing up, what they value and what motivates them. But don’t make the mistake of thinking people are just their “generation”. Each group has its own distinct characteristics, values, and attitudes toward work, based on its generation’s life experiences. At first, the challenges of understanding how those from other generations think can be an obstacle that creates conflict and miscommunication. However, with a little discussion and understanding, organizations can capitalize on the value each group brings to the office. This Course will help you bridge the generational gaps, building awareness that will lead to better hires, happier employees, stronger teams, and a healthier office/company. It helps participants understand what makes each generation unique, and how each adds its own perspective and value to the workplace. Define the four generations and how they see the world – Traditionalists, Baby Boomers, Generation X, and Millennials. Address motivational issues by understanding the 4 generations more thoroughly. Decrease negative judgements and generational stereotyping. Improve decision-making by practicing real world critical incident scenarios. Acquire an overall appreciation for generational differences. Discover why good cross-generational management matters and how to head off conflict between generations. Recognize favored communication styles and effective learning styles for each generation. Discuss the positive attributes that each generation brings to the work environment. Take a close look at goals, challenges, expectations, and motivating factors. Creating profit in real estate requires focus and diligence, as well as an understanding of the areas of your business you must be paying attention to as a business owner. This one day course will help the real estate business owner understand basic accounting principles, the importance of recruiting to profitability, and an understanding of when you should hire someone to assist you in running the financial part of your business so you can stay focused on your team members. You will also learn the importance of monthly reporting and the analysis and interpretation of your financial position against profitability. Strategic business planning and implementation are fundamental to the success of any real estate company. The plan must be relevant and address both internal and external changes and challenges. In addition, it must be guided by the company’s values, vision and mission. It should also be executed so that every staff and/or team member is positioned to optimize their contribution. This one-day course provides you with a process for developing a strategic business plan, guidelines for implementing that plan and methods for how to apply the plan to real world situations. Create a clear mission statement that guides your decision making. Understand the impact of external dynamics and internal change within your business. Develop action-oriented objectives and assign responsibility and accountability. Examine the effects and impact of both marketplace and company changes on planning. Establish a control of discipline to organize, implement and manage the business plan. This one-day course provides you with an understanding of the importance of developing a successful exit strategy for your business. You will leave with a wealth of knowledge in necessary considerations, examples of success exit strategies and the guidelines for developing your own exit strategy. Understand the importance of developing a successful exit strategy for your business. Determine value in your business based on contributing internal and external factors. Define important vocabulary and terms associated with creating exit strategies. Understand exit strategies from the perspective of both the buyer and seller. Evaluate your business in preparing your exit strategy. Develop effective sales associates who are aligned with the company’s culture. Understand & adjust your leadership style based on the individual and the situation. Harness performance strategies to ensure agents will reach their full potential. Describe the ideal candidate for a sales agent. Create a retention strategy as part of the sales development process. Identify the critical elements of a learning program. List skill development needs of your agents. Develop the skills necessary to coach, mentor and hold people accountable. Creating a Value Proposition – Why should someone want to work with you? Company policies are essential to mitigate risk and limit liability. This course provides a checklist of items that should be included in a policy manual and introduces options for each component. From federal mandates, state regulations and Code of Ethics compliance to employment laws, data security, and brokerage policy options, you’ll come away with a clear understanding of what should be addressed. Discuss why standardized policies and procedures are necessary to a real estate brokerage. List the items that should be included and addressed in a typical policies manual. Provide an overview of federal employment laws and list the components that should be addressed in an employee handbook. Describe the variety of risks associated with data collection and storage as well as the risks associated with social media activity. Detail brokerage operation policies regarding independent contractors. Describe non-discrimination policies that should be instituted to address the Civil Rights Act, the Fair Housing Act, the American’s with Disabilities Act, the Equal Credit Opportunity Act and state and local laws prohibiting discrimination. List six federal policies that are essential to a brokerage policy manual (Fair Housing, Code of Ethics, Do Not Call, CAN-SPAM, Sherman Antitrust and IRS exemptions). Distinguish between appropriate and inappropriate brokerage policies. Enumerate state license law regulations that should be included in a policy manual. Identify other brokerage policy options that should be considered and addressed to reduce risk. The CIPS course curriculum offers you hands-on experience with international real estate transactions, as well as five full days of study focusing on the critical aspects of transnational transactions, including: Currency and exchange rate issues, Cross-cultural relationships, Regional market conditions, Investment performance and Tax issues. This introductory course offers you an overview of the international real estate business environment, including capital flow, currencies, government regulations, and cultures. Topics such as international brokerage, networking, marketing, and selling will also be discussed. Global Real Estate: Local Markets is the first of seven international courses developed by Global Business and Alliances of the NATIONAL ASSOCIATION OF REALTORS® (NAR). This course is designed to introduce real estate professionals to the basic skills and knowledge necessary to facilitate international real estate transactions.This is the prerequisite course required to earn the Certified International Property Specialist (CIPS) designation. This course addresses real estate practices in Asia and the Pacific with emphasis on cultural influences, economic trends, and assessment of investment opportunities. An extra chapter on working with the Japanese is also included. Product Overview: At Home With Diversity® is an educational experience designed to present a picture of the changing face of the real estate industry. More importantly, the class teaches how real estate professionals can increase their sensitivity and adaptability to future market trends. Additionally, you will learn to thrive as an effective service provider and community leader. The course addresses issues of diversity, fair housing, and cultural differences. All three subjects are closely related and have value for real estate professionals who must serve diverse local markets. This course is designed to assist real estate professionals in planning and developing a working business platform while focusing on skills and resources for specialization in the 50+ real estate market. The generations are changing and expanding a working knowledge on how life stages impact real estate choices are crucial for today’s market environment. Connecting with a network of resources becomes extremely important while developing a working strategy to assist with the planning stages for the aging generations. This 2-Day Course, seeks to instill knowledge and understanding of and empathy for 50+ real estate clients and customers. Develop the business building skills and resources needed for specialization in the 50+ real estate market. 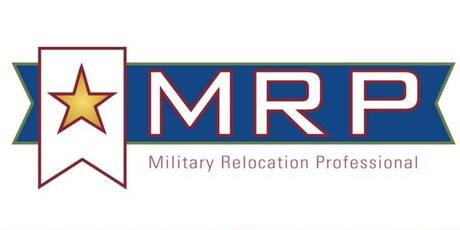 The goal of Military Relocation Professional Certification Core Course is to educate real estate professionals about working with current and former military service members to find the housing solutions that best suit their needs—as sellers or buyers–and take full advantage of military benefits and support. Students will learn how to provide the real estate services—at any stage in the service member’s military career—that meet the needs of this niche market and win future referrals. For many real estate professionals, short sales and foreclosures represent the new “traditional” real estate transaction. Knowing how to maneuver the complexities of short sales as well as how to identify the distinct real estate opportunities in foreclosure are not merely good skills to have in today’s market, they are critical. 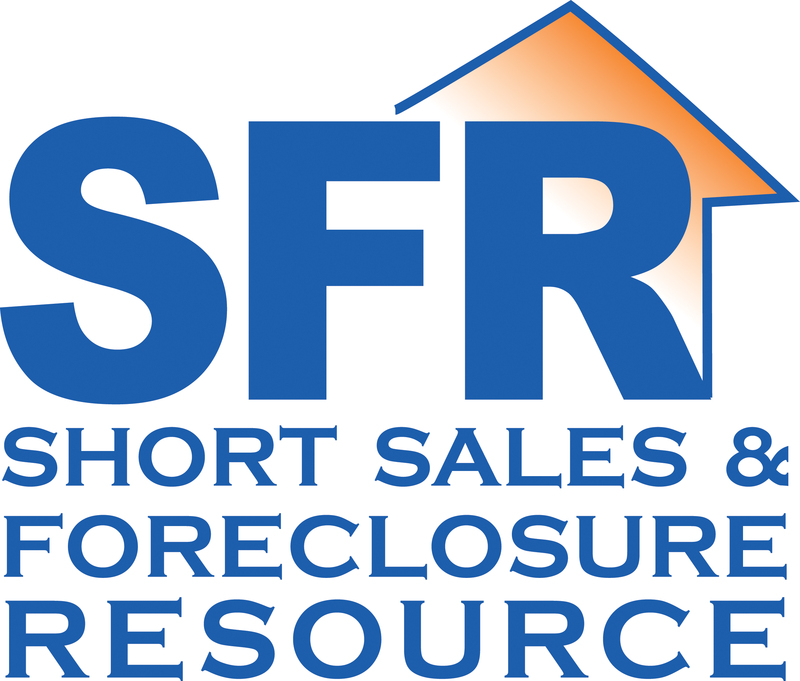 This course helps students evaluate all available options for distressed homeowners and identify the components of an effective short-sale package. This course looks at how real estate professionals can counsel buyer-clients in the purchase of foreclosure properties and as a practical resource, this course shows students how consumers can avoid foreclosure in the future. As an asset class, real estate offers many distinct benefits–the opportunities to generate passive income, leverage capital, and increase tax reduction strategies, to name a few. As a source of clients, investors look to real estate professionals with distinct knowledge and expertise–a nose for finding properties, an understanding of available finance and investment strategies, access to contractors for repairs, and ability to manage properties, to name a few. This one-day course helps students understand what it takes to represent investors in the brokerage of single-family homes, condos, townhouses, and/or small multifamily properties and help these clients reach their investment goals. This course also examines how real estate professionals can invest in residential property and build wealth for the long term. This unique program provides vital training, support, and information to real estate professionals who are looking to advance their businesses and raise awareness in their community about the cost savings, health benefits and overall value of homes with green features. 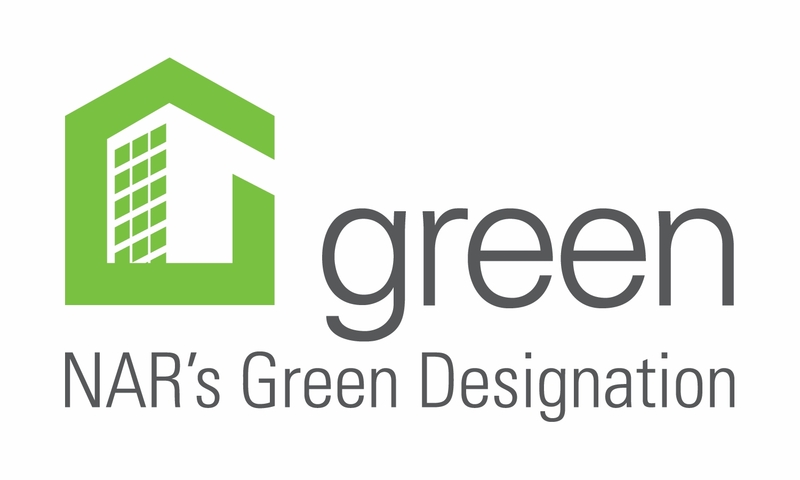 NAR’s Green Designation does more than introduce REALTORS® to this important topic, it encourages dialogue amongst industry professionals about the positive change in housing toward smarter, healthier, more sustainable homes and neighborhoods. Lead students through an exploration of issues and trends in relation to real estate’s role in finding the balance between people, planet, and prosperity. Instill the mindset essential to building a green-focused real estate business. Enable students to provide objective information to clients and customers on nationally recognized certifications and ratings programs that evaluate homes, products, energy efficiency, and professionals. Familiarize students with green principles and choices in home design and construction. Raise awareness of innovative materials, systems, and construction methods. Learn about energy-efficient systems including onsite power generation. Plan and implement strategies and tactics for building a green real estate business. Adapt your core real estate business skills to list and market green properties and represent green sellers and buyers. As the property management elective course for NAR’s Green Designation program, this course takes a closer look at sustainable strategies, practices, and considerations in managing a full spectrum of properties–from commercial to multifamily. NAR’s Green Designation Property Management Elective Course helps students understand the real estate manager’s specific roles with regard to water conservation, energy efficiency, water efficiency, and indoor environmental quality. This course looks at methods for assessing use and supply of these resources as well as strategies that can contribute to lasting financial and environmental benefits for owners and tenants. Developed specifically for commercial real estate practitioners and an approved elective for NAR’s Green Designation, this one-day course helps students understand the size of the market for sustainable commercial property, the role of the commercial real estate practitioner in the brokerage of these properties, certifications and rating systems for high-performance green buildings, and techniques and strategies to accomplish sustainability goals. In addition, the valuation and financing of sustainable commercial properties are examined. Whether you are experienced at preparing broker price opinions or are new to the business, this brand-new course from NAR will provide you with the resources and knowledge to reduce your risk and increase your opportunities. Learn about the multiple uses of BPOs and what they can and cannot be used for, how to evaluate and minimize the risk of the valuation process, identify and use effective tools, and filter and select comparables in order to create professional and accurate BPOs. Course Overview: With the changing real estate landscape and the increased use of broker price opinions (BPOs) by market participants, the National Association of REALTORS® is offering a new certification, BPO Resource, recognizing REALTORS® who have completed NAR’s BPO education program. The new certification course provides REALTORS® with knowledge and skills to reduce risk and increase opportunities to create professional and accurate BPOs. This one-day course will explore the multiple uses of BPOs, how they can and cannot be used, and how to filter and select comparables to create expert and precise BPOs. The average number of paid BPO assignments received by members who have completed the application process has been more than ten each month over each of the last six months of the program. Complete the one-day course “BPOs: The Agent’s Role in the Valuation Process” with a passing examination score of 80%. Submit BPOR application online at www.BPOR.org and $199 one-time application fee. View a free one-hour webinar on BPO best practices which will be available after you have submitted your application online. Be a member in good standing of the National Association of REALTORS® or one of its international cooperating associations. Note: You must have been licensed for at least 2 1⁄2 years and have an E&O policy (coverage through brokerage or individual policy) with $250,000 minimum coverage per incident and $500,000 aggregate maximum in order to be enrolled in the preferred provider panel. Effective negotiating on behalf of others is the hallmark of the buyer’s and seller’s representatives. This course examines positional bargaining and value negotiating. It also examines unique issues when representing someone in a negotiation and breaking a negotiation impasse. The Effective Negotiating course counts as one of the three designation courses required for the Performance Management Network Designation. This is a new curriculum course and will satisfy the designation transition for current LTGs. It also meets the elective course requirement for the ABR® Designation awarded by the Real Estate Buyer’s Agent Council (REBAC). A copy of the course completion certificate is required to receive credit towards your ABR® designation. Identifying the concept of the Zero Moment of Truth and how to connect with the modern consumer early during their initial real-estate related internet searches. Recognize the challenge of being found online and how to create content that captures the power of the “long tail” to drive traffic to your online web presence. Learn about the hub-and-spokes strategy to streamline your marketing efforts and increase the impact of your digital presence. Communicate the important and centralized role that your hub plays in your marketing efforts. Describe how to optimize your hub to include content that demonstrates your expertise as well as your personality and interests. Recognize the power of high-quality, locally relevant content and how it drives traffic to your website hub. Learn how to use owned content such as blogs, photos, & videos to connect with consumers while providing information they seek on the quality of life in your area. Identify which of the types of content you should create for your hub and spokes and publish in a consistent and authentic way. Recognize the Intellectual Property rules related to creating and publishing online content. Learn how to uphold the NAR Code of Ethics in your digital marketing efforts. Identify the strengths, weaknesses, opportunities, and threats of each social network and which ones are best for you. Recognize the rules of engagement online and how to use social objects to build social capital in your online interactions. Follow best practices for using the different social media platforms to engage and convert clients. Formulate how to take better photos and videos on your marketing activities. Decide how to monitor and manage your online reputation. Distinguish the difference between Search Engine Marketing and Search Engine Optimization and why both are important. Learn why digital display ads and social media advertising are also useful tools to drive traffic to your hub. Illustrate SEM and SEO strategies that can help you take advantage of the power of the Long Tail. Learn how to be more responsive when opportunities come your way. Recognize how to use email to reach large audiences and comply with CAN-SPAM in all your email campaigns. Illustrate useful programs to manage the paperless process. Identify applications that can make you more efficient and productive. Raise awareness of the possibility of a data breach. Relate data privacy issues to real estate business. Identify data spheres – how a real estate professional receives and shares data. Identify habits that create data privacy weak points. Protect transmission of data when working outside the office. Identify common risk factors created by relationships with vendors and service providers. Define basic concepts and terms relating to data privacy and security. Identify aspects of state and federal laws regarding data privacy and security that affect real estate organizations and businesses. Apply sound principles and knowledge of current laws to the development of a data security plan. Recognize basic documents, technologies, and concepts involved in creating a data security plan. Describe processes involved in creating a security plan. Apply knowledge of the Federal Trade Commission’s key principles and other best practices to the development of a data privacy and security plan. Learn signs that indicate the possibility of a data breach. Follow procedures including state laws for managing a data breach. Communicate with those who might be impacted by a data breach. Learn methods for securing your personal data. Learn how to secure passwords. Recognize scams that attempt to steal personal data. At any given time, today’s real estate professionals may be working with four generations of real estate buyers: Millennials, Generation X, the Baby Boomers, and Matures. This one-day course examines the home buying characteristics of these generations and evaluates their expectations (of agents and of the transaction) as well as communication preferences. As a turnkey resource, participants receive generation- specific marketing tools, networking tips, scripts, and counseling strategies to help formalize agency relationships. Course Review: At any given time, today’s real estate professionals may be working with four generations of real estate buyers: Millenials, Generation X, the Baby Boomers, and Matures. So how do real estate professionals assess the distinct wants and needs of these generations and nurture real estate client relationships for a lifetime? Say hello to Generation Buy. This course from NAR on HAFA (Home Affordable Foreclosure Alternatives) provides in- depth coverage of US Treasury, Fannie Mae and Freddie Mac programs. Since 2007, short sales have been an unfortunate but widespread fact of many real estate marketplaces and these newly introduced programs assist homeowners who need to sell their homes. This course explains the similarities and differences in the three HAFA programs in detail and will give you the tools to assist your sellers in processing short sales more efficiently. The HAFA Short Sales course counts as one REBAC elective course to be applied towards the ABR® designation. It can be completed in a classroom. This brand-new course from NAR on HAFA (Home Affordable Foreclosure Alternatives) provides in-depth coverage of US Treasury, Fannie Mae and Freddie Mac programs. Since 2007, short sales have been an unfortunate but widespread fact of many real estate marketplaces and these newly introduced programs assist homeowners who need to sell their homes. This course explains the similarities and differences in the three HAFA programs in detail and will give you the tools to assist your sellers in processing short sales more efficiently. This course will teach you how to harness the power of performance management skills to challenge yourself, to manage your time effectively, to build credibility, and develop a personal vision. The Harnessing the Power: Skills Based Performance Management course counts as one of the three designation courses required for the Performance Management Network Designation. It also meets the elective course requirement for the ABR® Designation awarded by the Real Estate Buyer’s Agent Council (REBAC). Course Review: What separates the best from the rest? The best have systems not just for their real estate businesses but for themselves. They have harnessed the power of performance management skills to challenge themselves, to manage their time effectively, to build credibility and develop a personal vision. This course will show you how to eliminate the obstacles that conspire to prevent you from getting to that next level in your business and in your life. The Introduction to Real Estate Auction Course is designed to show how real estate professionals can use auctions as a means of selling or buying real estate. Real estate auctions are profitable, professional, and on the rise. Learn how auctions work, how to partner with an auctioneer, and how to use auctions as a unique marketing tool to grow your consumer base. Gain a competitive advantage with this ABR® one-day, elective course. Course Review: Written as a primer for residential and commercial real estate professionals who have had little to no experience using auctions, this course helps students how to use the auction method of marketing, identify good candidates for real estate auctions, and network with an auction firm and/or auction professionals. This 2-day course offering from the REALTORS® Land Institute’s (RLI) Land University program will address a broad range of topics in this real estate specialty, including: the basics of land brokerage, farms and ranches, undeveloped land, transactional and developed land, land subdivision and wholesaling, sight selection and land parcel assemblage, and environmental issues. Land 101 counts as credit toward earning the Accredited Land Consultant (ALC) designation, awarded by RLI. It also meets the elective course requirement for the ABR® Designation awarded by the Real Estate Buyer’s Agent Council (REBAC) and may be eligible for Continuing Education (CE) credit. Consult your state board to see about CE credit eligibility. A copy of the course completion certificate is required to receive credit towards your ABR® designation. One of the reasons why licensees fail or only achieve modest success is their inability to focus on the consumer’s needs and to market their services accordingly. In the past, marketing courses have dealt with marketing the seller’s property as opposed to marketing to the buyer. Structured to inspire novel marketing approaches to create a personal “brand” this course encourages students to look everywhere for differentiating marketing opportunities that grab the attention of buyers. Course Review: Do you think your marketing plans and strategies at the height of the boom work as well for you today as they did then? Think again. It’s time to reconsider how you promote yourself and attract new business. It’s time for a real estate marketing REBOOT. This two-day core course focuses on the knowledge and skill base that real estate professionals need to specialize in buying, selling, or managing second homes in a resort, recreational, and/or vacation destination and properties for investment, development, or retirement. Course Objective: The course is designed to teach the essentials of buying, selling, or managing resort properties and second homes for recreation, investment, and development by U.S. and international clients and customers in the United States. The RPR®: Real-Time Data, Market Knowledge, Informed Consumers course educates real estate professionals about real estate market research and valuation tools that consumers can access online and the pros and cons of automated valuation models (AVM. The course covers how Realtors Property Resource® tools help real estate buyers and sellers make informed decisions, as well as how REALTORS® can combine their specific expertise RPR tools to benefit clients and customers before, during, and after the real estate transaction. Familiarize real estate professionals with the real estate market research and valuation tools that consumers can access today. Weigh the pros and cons of automated valuation models (AVMs) and how they obtain data and calculate data. Apply RPR® tools to help real estate clients and customers—buyers and sellers— make informed decisions. Combine real estate experience and expertise with RPR®-enhanced MLS data, tools, and reports to benefit clients and customers before, during, and after the real estate transaction. Realtors Property Resource® (RPRTM) is NAR’s exclusive online real estate database and provides REALTORS® with information on every parcel of property in the United States as well as a robust portfolio of market trend data, advanced analytical reports, and detailed maps. In this course, you will learn how automated valuation models (AVMs) may influence consumers’ online real estate research efforts. You will also learn how REALTORS® can leverage the full analytical power of the RPRTM in their listing presentations and buyer counseling sessions. Specific scripts and step-by-step instructions on how to run the seller’s report, property report, and market activity report are included. The key to competitive home pricing is becoming proficient at Comparative Market Analyses (CMAs). In the Pricing Strategies: Mastering the CMA course, you will learn how to evaluate the existing real estate market to take the guesswork out of pricing homes. This one-day course is an essential primer on how real estate professionals can generate leads, qualify leads, and convert qualified leads to clients. Students will learn the requirements for their lead generation strategies and efforts to be successful. They will analyze systems, tactics, and tools to keep leads warm and to maintain top-of-mind awareness. The steps of converting leads—making contact, providing information, asking questions, and qualifying leads—will be un-bundled and examined. This course offers tips for choosing the best smartphone, tablet, email marketing platform, and customer relationship management (CRM) system as well as current apps. This course explores the business fundamentals of how to track, research, and quantify the leads that real estate professionals develop. This course also looks at online sites like Realtor.com and Zillow as well as online paid advertising techniques and social media marketing strategies. As a practical resource, this course offers drip email templates and sample scripts that agents can apply to their business immediately. Managing Single Family Homes and Small Investment Properties is a course developed jointly by the National Association of Residential Property Managers (NARPM) and the Institute of Real Estate Management (IREM). This course covers the essentials of residential property management including: management agreements, ethics, legal issues, risk assessment, budgeting, maintaining the property, and marketing and leasing space. Contact Rich through the web form to secure your spot in an upcoming class.